The Connecticut wall murals featured in this collection will add character and beauty to your space, whether it’s your home or office. These stunning photographs of city skylines and one of the nation’s most prestigious educational institutions will instantly transport your space and fill it with the unique charm characteristic of the Constitution State. 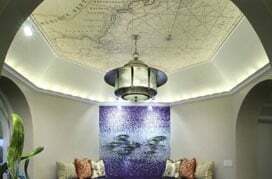 Use these wallpaper murals of Connecticut to open up your interiors and to add visual interest to your walls. Among these tastefully captured photographic murals, you will find many views of Yale University and several of its landmark buildings. These include the unmistakable towers of Yale University’s Sterling Law Building and other photographs capturing the architecture of the University Campus. An up-close view of Yale University and its campus may be just the perfect way to start and end your days inspired and energized. 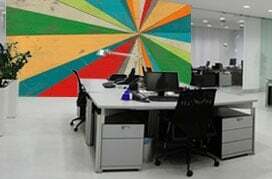 The murals are also appropriate for corporate offices, hallways and lobbies in other commercial spaces where they are sure to serve as conversation starters if not focal points. Besides being home to America’s iconic university, Connecticut is also known for its beautiful cherry blossoms, bustling cities and of course, the Bushnell Park, among other things. The Bushnell Park in Hartford, Connecticut is the oldest publicly funded park in the US and the mural in this collection captures the quintessential skyscrapers along the park. Nature and architecture are not all Connecticut has to offer, of course. Connecticuters are known for their pride of and love for their beloved Nutmeg State. And what better way to display this pride than with wall murals of Connecticut stamps bearing the names of its cities and flags of the state? Hartford and Bridgeport stamps and grunge flags complete this unique collection of Connecticut Wall Murals.